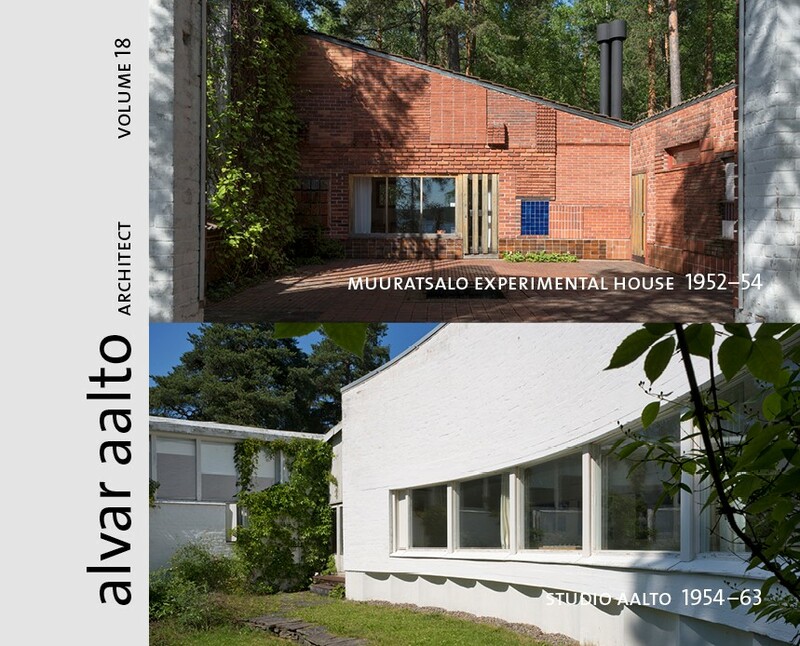 The latest volume in the English-language series Alvar Aalto Architect, published by the Alvar Aalto Foundation, presents two buildings from the 1950s, Muuratsalo Experimental House and Studio Aalto, which are linked to both the architect’s work and leisure. Studio Aalto (1954-55, 1962-63) in Munkkiniemi, Helsinki, served as the architect’s office, and was the main stage for his productive international career. Aalto also enjoyed spending time in the Muuratsalo Experimental House (1952-54) built on the island of Päijänne as a counterbalance to his work. The Selected drawings section contains sketches drawn during the designing years, while Contemporary photographs presents the Muuratsalo Experimental House and Studio Aalto through the eyes of today’s photographers. The publication’s editorial board has been headed by architect Leena Rossi.